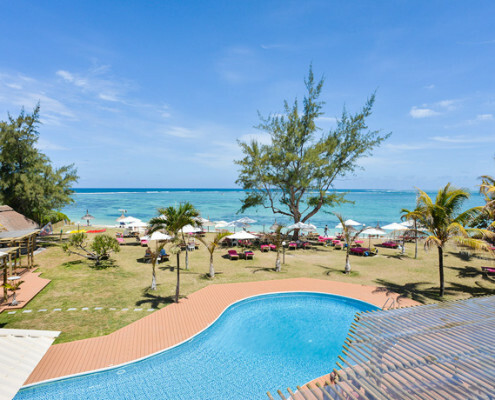 The Silver Beach Hotel is ideal for a quiet, relaxing and simple holiday. 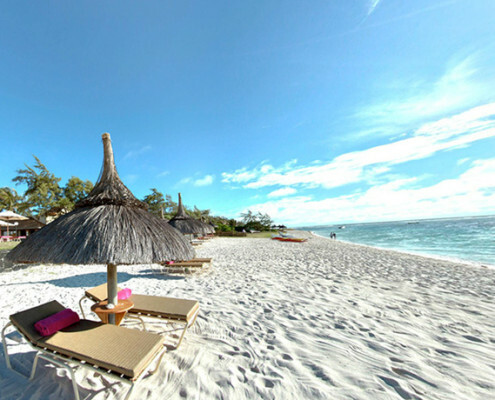 True to its name, the hotel lies next to a white sandy beach and the turquoise hews of the Indian Ocean. 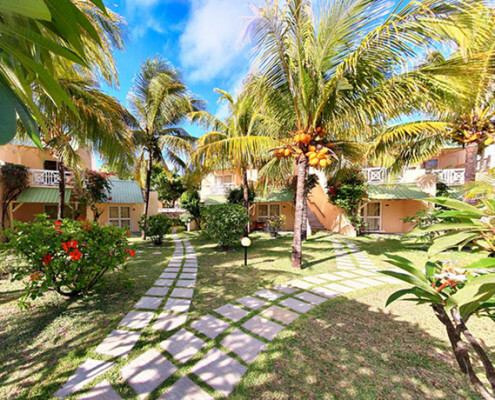 Attentive and friendly staff at the Silver Beach Hotel endeavour to ensure your tropical island vacation lives up to expectations. 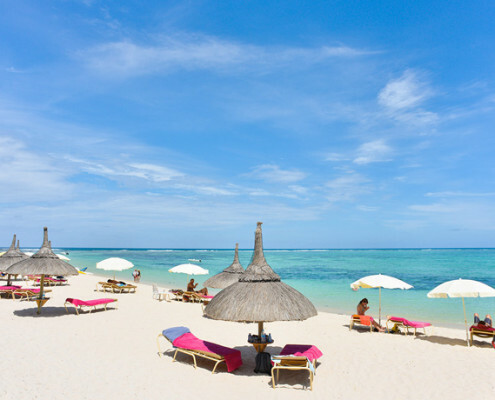 Silver Beach Hotel is located on the East Coast of Mauritius at Trou d’Eau Douce, approximately 50 km from the airport. Standard rooms, comfortable and tastefully furnished, are located in the main building and are spread over 3 storeys. These rooms have either a terrace or balcony and are all sea facing. 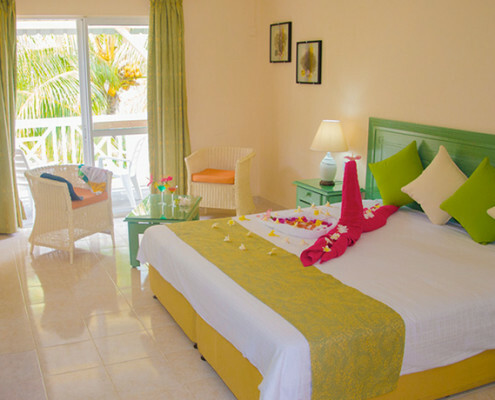 Bungalow Rooms, with either a terrace or a balcony, offer a view over the lush tropical gardens. Several of the Bungalow Rooms are inter-leading. All rooms are equipped with air-conditioning, King Size Double bed or Twin beds, bathroom with shower and toilet, telephone, Minibar, TV, wall safe, hairdryer and have free WiFi on the balcony/terrace. 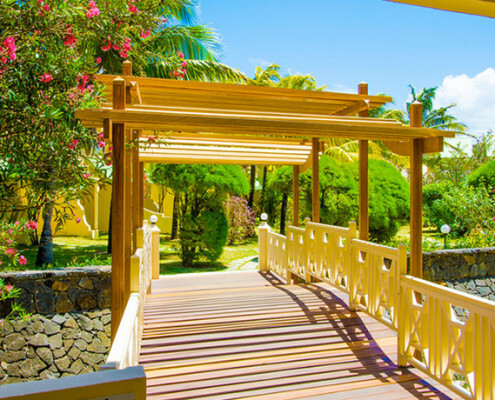 Facing the pool and sea, the restaurant offers European and local Mauritian cuisine. 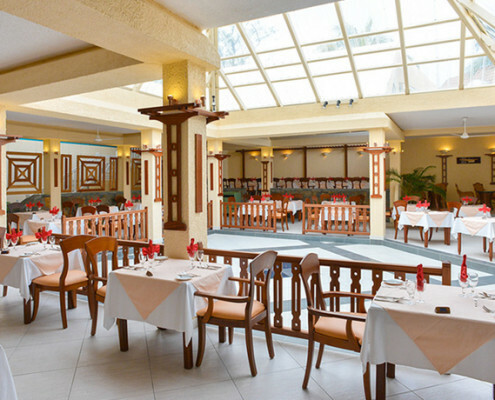 An Open Buffet is available for breakfast and an à la carte menu is available at lunch. Dinner is from a set menu most evenings with a buffet twice a week. The bar is open from mid-morning till late. 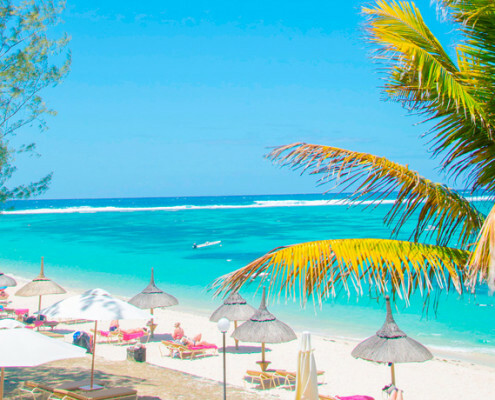 Swimming pool, windsurfing, Pedalos, Kayaks, snorkelling, pool table, board games, boat trip to Ile Aux Cerfs, Speed-boat trips, Scuba diving, water-skiing, glass bottom boat, parasailing, deep sea fishing and Catamaran cruise. Live music is played in the bar most evenings and a Sega show is performed once a week. Facilities at the hotel include a Boutique, laundry, babysitting and car hire.